Eye bags can be because of cholestrol too. Cholesterol deposit around eyes is known as xanthelasma. 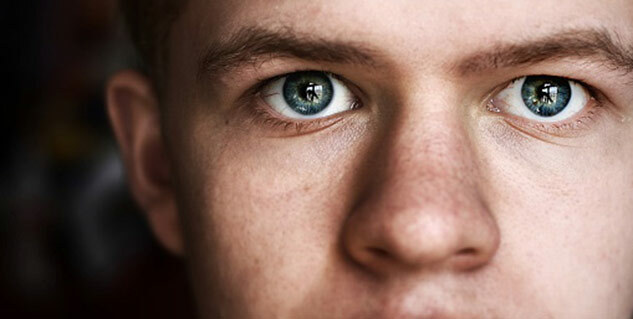 Home remedies can be a good alternative treatment of xanthelasma. Did you think only cellulite, obesity and fat flabs are the only visible signs of cholesterol accumulation in your body? Yes, sometimes the eye bags that you have around your eyes are nothing but cholesterol deposits, known as Canthus and xanthelasma in medical terms. The prime cause of these spots and deposits are low-density cholesterol or bad cholesterol. There could be genetic reasons like diabetes, high blood sugar levels, liver diseases and many others. If you have high cholesterol, you can develop these spots. The bags above eyes can grow bigger with growing cholesterol accumulation and in later stages it can cause problems in looking. Further it can also cause coronary artery disease. The area is so close to eye that surgery can be a risky decision. In order to avoid any severity, a proper treatment is necessary. When you have lesser options of treatment, you can always turn towards natural alternatives. As you are aware that cholesterol is the cause of xanthelasma, you can treat your cholesterol level and then your fat bumps around eyes. Here are 5 super foods that can help you lower your cholesterol levels. Extract juice from an onion and add some salt in it. Leave it aside for few hours. Apply the juice to the affected area at night. Wash with cold water in the morning. The compounds present in onions can stop the rise in bad cholesterol levels. Make a fine paste of garlic and apply it on the affected area. Leave for about half an hour and then wash it off with cold water. Do not apply it for longer hours if you have a sensitive skin. The enzymes in garlic will reduce high cholesterol level and will flatten the small bumps. Soak a cotton ball in apple cider vinegar and dab the affected area. The mild acid in apple cider vinegar will remove the spots. You can also drink it daily with some lukewarm water to reduce the LDL level, which will cure the fat bumps. The ricinoleic acid in castor oil can cure the cholsetrol deposits. Take a cotton ball and soak it in the castor oil and dab it on the affected area. Do regularly to get faster results. Take a glass of water and add two tsps of fenugreek seeds in it. Leave it overnight and drink it on an empty stomach the next morning. It will lower LDL level, reducing the cholesterol deposits as result.